affecting the arteries of the lungs that can lead to right heart failure. innovative PH research efforts to find a cure for this deadly disease. designed to amplify PH awareness on a massive scale. Engage for a cure with phaware. Go All In for PH and CHD Awareness! 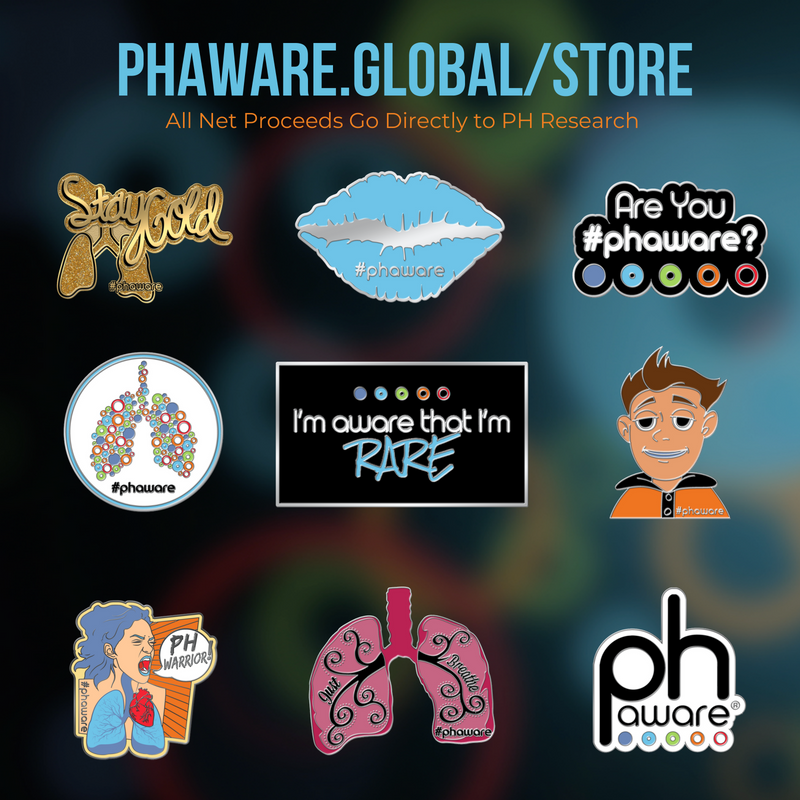 phaware global association® and Hearts with Hope are raising the stakes on pulmonary hypertension and congenital heart disease awareness to celebrate World PH Day! Learn More. Click to hear our podcast. Find out about our organization, engage with our mission, our methods, and discover the results of our advocacy. Learn how you can become a contributor to our cause, or participate yourself as an awareness ambassador. Join the global #phaware conversation. Follow and Like @phaware on Facebook, Twitter & Instagram.